Effortless Admin is the World’s most advanced benefit administration solution currently available for Canadian benefit plan administration. Companies all across Canada are using Effortless Admin to streamline their benefit administration. 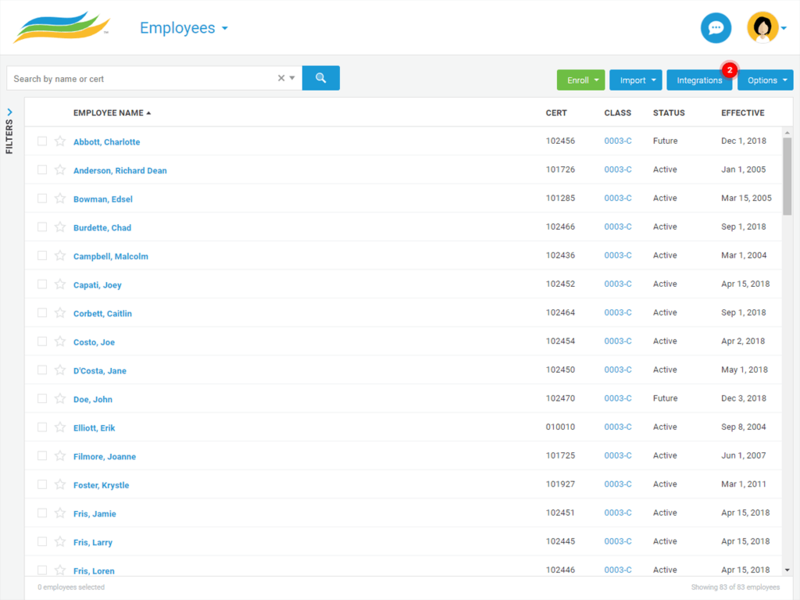 By providing an elegant, unified interface and a consolidated billing, Effortless Admin gives employers and their admin teams the freedom to implement and safely administer multi-provider benefits plan that perfectly meets their needs without increasing their workload. Benefit provider administration guides and benefits plan contract rules are integrated with the Effortless Admin platform to ensure that you work effectively and safely. Employee engagement is the key to efficient onboarding, but too often enrolling employees in your benefits program leads to a time consuming paper chase. Not with Effortless Admin! 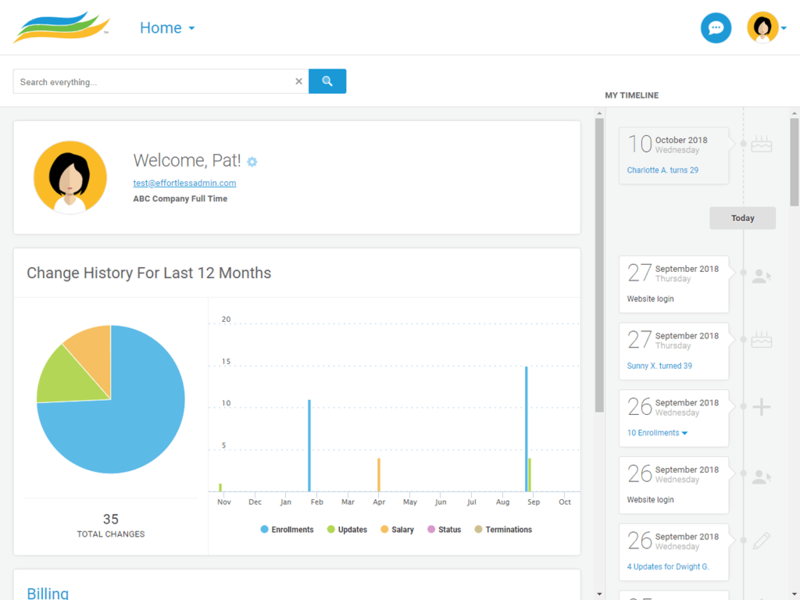 We offer the most streamlined onboarding experience in the industry. And best of all, you only need to enroll your employees once. With the Effortless Admin platform, adding or transitioning benefit providers is no longer a major company project. Actively engage your benefits advisor to design a multi-provider employee benefits plan that perfectly meets yours needs, and consolidate your administration into a single platform. No matter how many benefit providers you leverage, you only have one, beautiful, interface to use. Embrace more flexibility while simplifying your billing. Regardless of your benefits mix. With the Effortless Admin platform you receive one invoice at the end of the month and we take care of the rest. 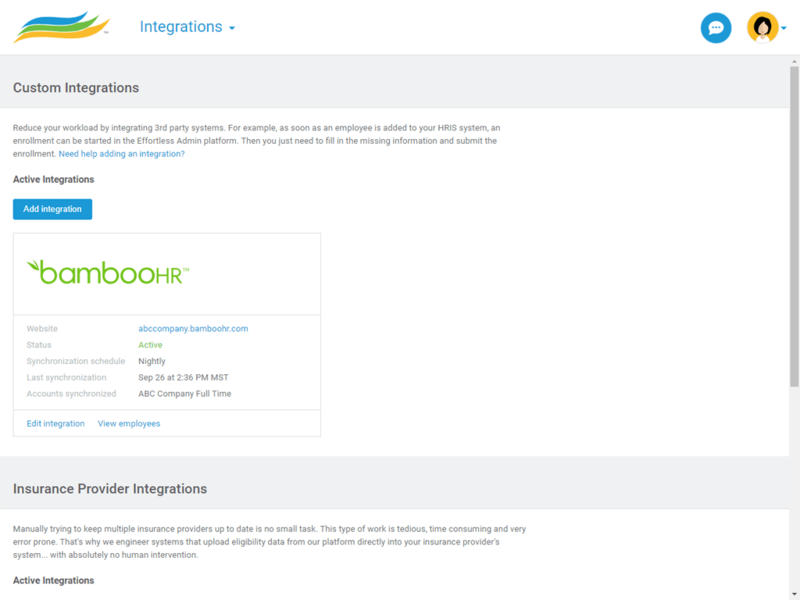 The integration seamlessly keeps Effortless Admin in sync with BambooHR. 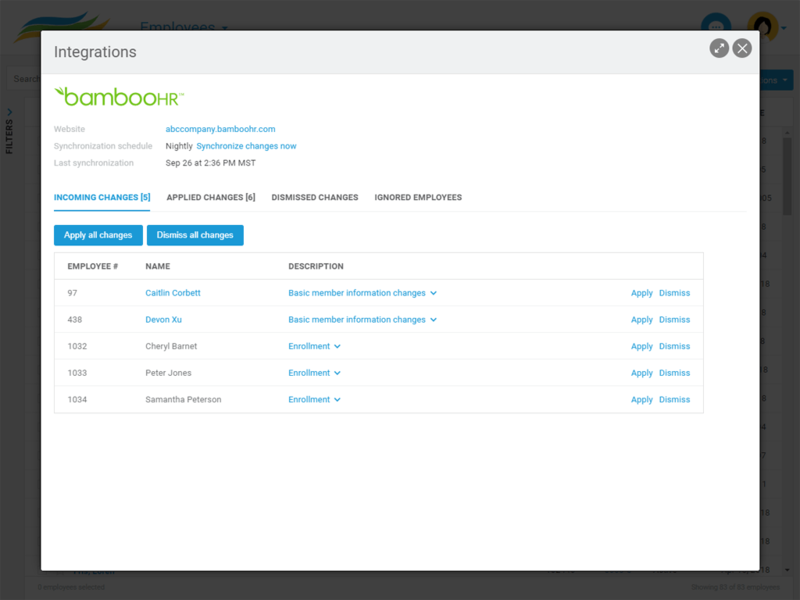 The night after you add a new employee record to BambooHR or update an existing record, the information will automatically be transferred to Effortless Admin. These changes will be held in an “Incoming Changes” queue as they await your approval. To ensure that your "Hours per week" is synced properly, you will have to have the "Standard Hours Per Week" field in BambooHR enabled. 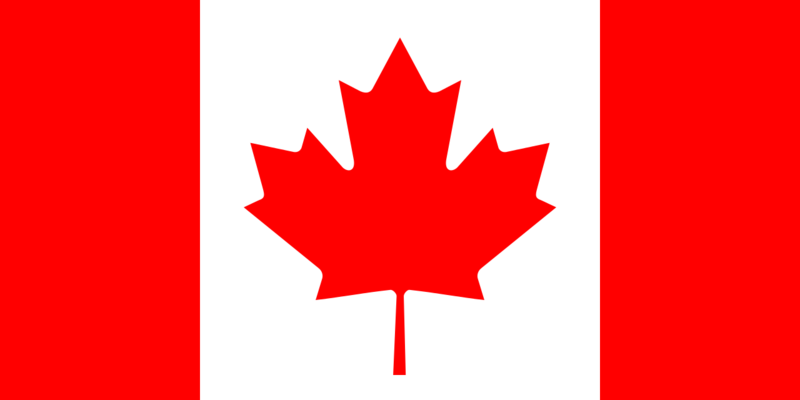 Independent Canadian benefit plan administration. Your plan, your way, your advisor.